CS-SUNN implemented the SUN Civil Society Creativity and Collaboration Award which is a joint project to develop and pilot test a guide for Stakeholder mapping in West Africa to strengthen West Africa Civil Society Alliances in nutrition coordination and collaboration A pilot stakeholder mapping process will be conducted in Nigeria, Sierra Leone and Liberia with case studies developed from the exercise to support a stakeholder-mapping guide (specific emphasis will be on similarities and differences observed while conducting this activity in Nigeria, Sierra Leone and Liberia). The guide will be a practical tool designed for West African CSOs to effectively conduct nutrition stakeholder mapping. In addition, the guide will help contextualize global best practices, as well as provide concrete tools for mapping specific stakeholders to better understand who works where, know their capacity, available resources, with relative power in communities to influence nutrition issues thereby galvanising partner efforts to improve nutrition outcomes. When carried out effectively, stakeholder mapping will create a better understanding of the ways in which particular organisations or networks can influence the outcome of policy processes as well as strengthen inter-sectorial coordination and collaboration. Workshop Evaluations: In Oyo state, Food Basket Foundation International Enumerators were asked to evaluate the value and facilitation of the workshop. After identifying potential adaptation options, participants discussed appropriate implementation steps and other relevant follow up activities to be conducted after the workshop. It was suggested that before the questionnaires can be filled, a cover letter should be attached to the questionnaire. It was also further suggested that various department in each non-governmental organisations and other stakeholders should have access to the questionnaires so as to be able to give valid information. A cover letter was written by Food Basket Foundation Chief Executive Officer for organisations that requested for it to be attached with the questionnaire. It was also further suggested by Mr Seun, Secretary to Health Reform Foundation of Nigeria that they have over 50 members on their website and the easier way to access them to fill in the questionnaire is to therefore post it on the website for them to download and fill appropriately. The questionnaire was therefore sent to HERFON Secretary to post on the Civil Society Organisation website. The collection of the questionnaire was done through follow up by phone calling and reminder on the whatsapp group which was created for CS-SUNN, Oyo State chapter. Built Capacityof CS-SUNN: CS-SUNN has learnt to effectively design a guide to stakeholder mapping and conduct a mapping exercise. The need for collaboration and partnership with other SUN West African Countries, relevant key stakeholders and build on their expertise, if any was very important in getting good results. Engaging an already existing Coalition:In Kaduna state, Identification of CSOs working in nutrition and health related areas was not challenging as CS-SUNN had an already existing state level Coalition. The National Secretariat contacted and worked closely with the state chapter to ensure smooth implementation of the activity. Creating alternative channels for administering tool: In Kaduna state, even though the questionnaire was printed and made available to CSOs they also had the option of filling an online copy and sending back to the secretariat via email. This made the mapping exercise a lot easier. 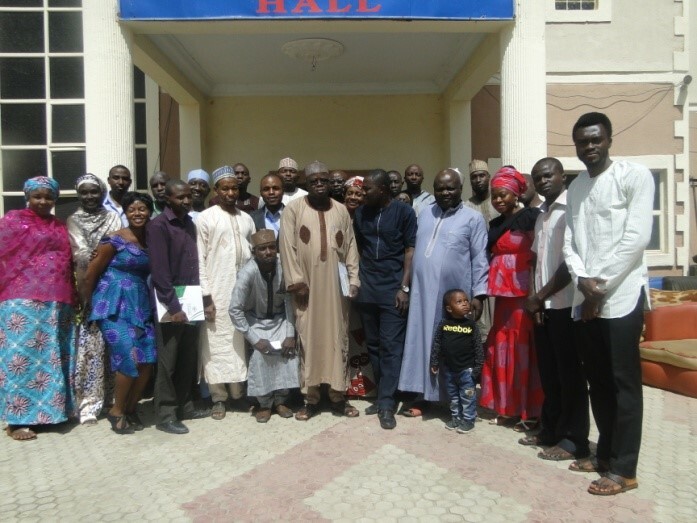 In Oyo state, even though it was the first time for CSOs to come under the platform of the SUN Network, it was noted by participants as well organized and effective. In both states, respondents were excited to be involved in the mapping exercise, showed a lot of support and anxious to use the tool to tell their story in the area of nutrition. The winning of the SUN Civil Society Creativity and Collaboration Award heralded the beginning of the collaboration among Liberia, Sierra Leone and Nigeria. Between June and July, 2017 series of discussions and deliberations on the implementation of the project took placevia Skype among the three West African CSAs. In the process, a draft data collection tool was developed by Liberia with inputs from Nigeria and Sierra Leone. The final tool was then slightly adjusted to fit the needs of the CSOs in Nigeria. The data collection tool, an eleven(11) page questionnaire began with a section on introduction, consent and country specific CSO contact. Thereafter, a section on identification, contact and operational areas which is followed by sub-sections which cover issues on institutional and organizational capacity target populations and program strategies. 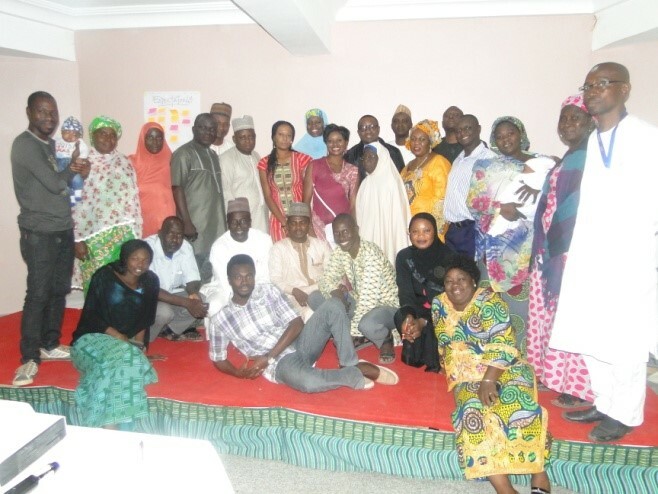 CS-SUNN convened and conducted mapping exercises of CSOs working in Nigeria (Kaduna and Oyo states) on nutrition and health related areas while administering the detailed data collection tool to collect relevant data. Get a better sense of the distribution of CSOs working in nutrition, and other health areas. Identify CSOs programmatic areas and target populations. To address the mapping objectives, a one-day mapping exercise was conducted in Kaduna state on the 1st of August, 2017 at the Bafra Hotel, Kaduna state and the Food Basket Foundation International on behalf of CS-SUNN conducteda mapping exercise in Oyo state on the 5th of August 2017 at SDM Tavern, Agodi Government Reserve Area(GRA), Ibadan. Participants and key respondents included heads and representatives of CSOs working in nutrition and health related areas.A total of 42 (Kaduna: 27 and Oyo: 15) Civil Society Organizations were actively engaged in the mapping exercise in both states. the detailed data collection tool to collect relevant data. 2. Identify CSOs programmatic areas and target populations. In getting respondents for the CS-SUNN mapping Instrument, it was therefore agreed that other non-governmental Organisation that were not present physically could complete the filling of the questionnaire via online. This was therefore sent via mail to respondents and uploaded on the website of the Civil Society Organisation website for Oyo State.